I graduated with a BSc in Pure & Applied Physics from University of Salford in 1983 and started in Medical Physics Bristol in 1984. Initially worked in Electronics / Ultrasonics. My boss was Jon Evans, now senior engineer at Huntleigh (the CW Doppler manufacturers). I went through the basic grade physicist’s training, ending up in Vascular Studies at the Bristol Royal Infirmary. I really enjoyed that; working with vascular surgical research registrars and starting to look at what you could do with a duplex scanner (other than scan carotids). I got married and soon after in 1988 we moved for a promotion to Poole, Dorset. I had a great early days at Poole/Bournemouth working on research into what would become new applications of duplex including leg arterial scanning, venous reflux imaging and plethysmography as well as other Clinical Measurement stuff. I joined SVT early on but I’m not sure which year! This is my 2nd stint on the committee (as conference secretary). Our service was permanently moved to Royal Bournemouth Hospital in 1995 where most of the Vascular Surgery was then based. The service has grown from there. We now have 8 staff and are pretty busy. I did a MSc in Advanced Vascular Ultrasound at Kings College London in 2009. I run the GI physiology service at Bournemouth but 80% of our work is vascular. We are a Vascular hub hospital with 4 (soon to be 5) Consultant Vascular surgeons and have spoke surgeons coming from Salisbury & Dorchester. I have been acting Manager of Medical Physics since 2014. 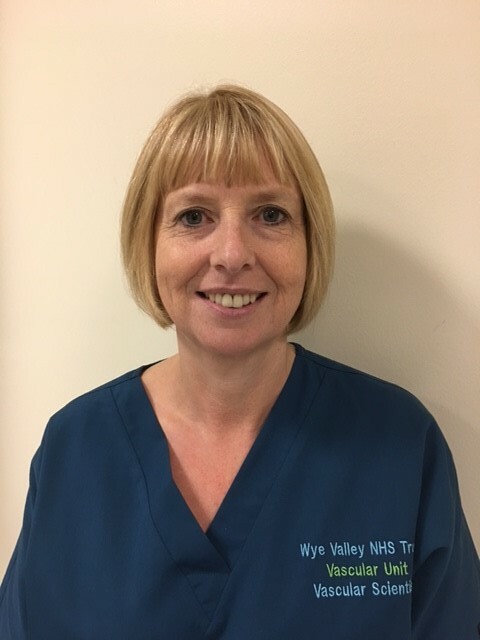 I currently work for Wye Valley NHS Trust in the heart of the Herefordshire countryside, qualifying as a Clinical Vascular Scientist in 1999. I work as a single handed practitioner supported by a Health Care Assistant. I am also Clinical Skills Trainer and QA lead for the National Abdominal Aortic Aneurysm Screening Programme in Hereford. 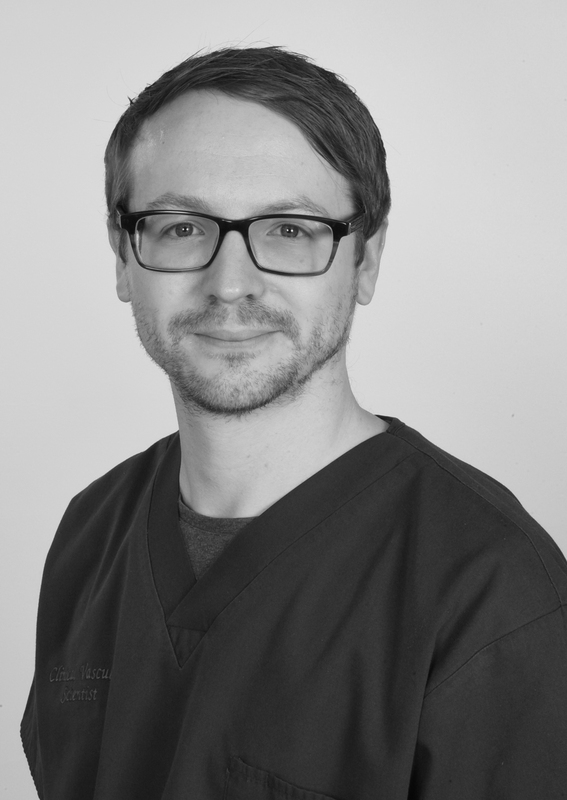 I gained my BSc (hons) in Medical Science at Leeds University in 2005 before I joined Independent Vascular Services Ltd in 2006 as a Trainee Clinical Vascular Scientist. During my training with IVS Ltd I studied for a PgC in Medical Ultrasound at Leeds University before qualifying as an Accredited Vascular cientist through the SVT in 2009. Since becoming accredited I became manager of the Vascular Ultrasound Department at Fairfield Hospital in Bury where we gained both CQC registration and UKAS accreditation for our service. In 2014 I moved to Wythenshawe Hospital (South Manchester University Hospital Trust) where is am the assistant manager. 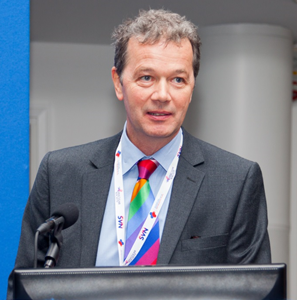 I joined the SVT committee in 2015 as the website secretary where I look forward to helping the SVT develop its new website to both aide its members and promote Vascular Science to the wider community. Outside of work I enjoy running and playing a variety of sports ranging from football to crown green bowls. I am also a keen supporter of my local rugby union side Sale Sharks. 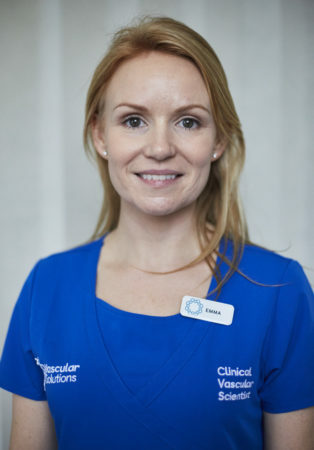 Founder and Managing Director of Vascular Solutions, I began my career in vascular technology in Dublin, Ireland as a trainee vascular technologist, in James Connolly Memorial Hospital while concurrently undertaking a PgC in Medical physics and Physiological measurements at Kevin Street D.I.T. Gaining my accreditation through the Society for Vascular Technology of GB & Ireland in 2004 I moved to the UK to begin working as a Clinical Vascular Scientist in January 2005. On commencing work in London, I decided to further my academic career with an MSc in Medical Ultrasound at KCL, and graduated in September 2008. Having worked in many NHS and private sector hospitals throughout London I ventured into setting up a high quality, specialised vascular imaging company to supplying vascular laboratory services to the NHS and private sector. In 2012, I volunteered for the position of non-portfolio Executive Committee member, and in 2013 I was given the role of Conference Secretary, organising the SVT AGM and ASM in Manchester, November 2013 and in Glasgow, 2014. As Conference Secretary my role was in leading the planning and organisation of the event, arranging for specialist guest speakers to present at the meeting, accepting abstract submissions and presenting these to the Executive Committee for selection into the ASM and developing the meetings program. I arranged an advanced ultrasound workshop Renal artery and AVF scanning to be held at AGM for SVT members with the assistance of the Education Committee and Executive Committee, the day was very successful and the format was taken forward in planning 2015’s AGM. I am a mother to two young boys and love spending every spare moment out of work time with them and my husband, usually playing sport of some kind, be it tennis, cricket, football or cycling. Originally from New Zealand, having an imaging background, training there firstly as a Diagnostic Medical Radiation Technologist, then gaining the Australasian DMU in 1992. After moving to the UK in 1995, I trained as a Vascular Scientist in Newport, South Wales, and was accredited in 1999. Since late 2003 I have worked in North Wales at Glan Clwyd Hospital, establishing a Vascular Laboratory there from early 2004. I'm a returner to the SVT executive, having had non-portfolio, Conference and Newsletter roles previously. I am the senior Clinical Vascular Scientist in the Vascular lab at HEY Hospitals NHS trust. I started in 2001 as a University of Hull research technician performing ABPI’s/TBPI’S/treadmill tests and tcpo2 for the NHS patients and helping the research fellows with the various clinical trials. I progressed to co-ordinating two of our largest commercial research trials (at the time) and began to learn to scan AAA’s. I passed the Burwin Institute course in non-invasive Vascular Technology in 2006 then I migrated to work 100% for the NHS and to become a trainee Vascular Scientist. I found the physics quite difficult so I empathise with those that also struggle with it. But I persevered and passed both my theory exams. I was diagnosed with cancer in April 2010 and for the next two years the majority of my time was taken up with chemotherapy, radiotherapy and numerous operations. In early 2012 I passed the SVT practical exam. I am the Clinical Skills Trainer for the North Yorkshire and Humber AAA Screening Programme, QA lead and I am CAVA qualified.